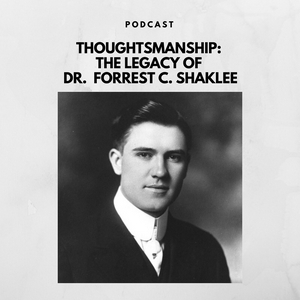 Welcome to Thoughtsmanship: The Legacy of Dr. Forrest C. Shaklee - where amazing things happen by Laura Evans, Tif Vin, Bob Ferguson & Laura Beck. We’ll bring you the best stories from people who live in Thoughtsmanship! The Mannes Group LLC, is a second generation Shaklee business that also includes their parents Bruce & Elaine. Elaine started her Shaklee journey in November 1963. Since her passing in January 2018, our determination and desire our Mother shared with us has helped as we have stepped into her role in helping people create healthier lives. Our backgrounds are very diverse which help in our Shaklee business, which include jobs in the following areas Education, Corporations, Medicine, Financial Planners, Government Affairs, Professional Photographer, Funeral Director & Product Manufacturers. With all these various experiences, the Mannes Group has a solid foundation and desire to continue in helping people to realize their goals and dreams just like our Mother did over 50 years ago. Carla S Mannes, MSW,CG, Grief & Loss Therapist, Nutrition Coach Carla earned both a bachelor’s and a master’s degree in Social Work from Arizona State University. Carla is a therapist, who specializes in adverse childhood experience, grief and loss. She is holistic practitioner, who believes, the only way to heal is to begin to feel. Carla has successfully integrated the use of Shaklee products into her practice and health plans. She utilizes Health print as a basis to understand her clients’ lifestyle and health goals. She recommends Stress Relief Complex and B-Complex to everyone! Carla is the host of ‘Tuesday Topics’ on Facebook Live. She also shares her love of the Shaklee Effect with online educational seminars on how to live your best live. Carla has a long history with Shaklee; her parents are Presidential Life Time Master’s Bruce and Elaine Mannes. She is the mother of four grown children, 8 grandchildren and she lives in Mesa Arizona. Nary's story of escape from the jungles of Cambodia to a new life in America and overwhelming success in Shaklee is an extraordinary tale of courage, sacrifice, perseverance and triumph. Bob Ferguson interviews presidential Coordinators Reed and Linda Hanson, leaders of one of an iconic and pioneering Shaklee businesses, going strong 58 years after its founding in 1960. Mark Ramirez has worked for Shaklee for 45 years. Don't let his calm, cool and collected demeanor distract you from his active lifestyle and great contributions to Shaklee Corporation. Reflections on Philosophy by Dr. Forrest c. Shaklee Reading Part 2 by Laura Beck. Laura and Joyce discuss why and how would a registered nurse and teacher/coach leave their careers to pursue a business of their own in the health industry. And 40+years later how has that decision paid off? Hear how a family farm that was lost during financial crisis was brought back to the family again, thanks to the Shaklee business. Jen grew up around Shaklee, however it wasn't until after college that she truly began to understand what the company had to offer. The two friends explore what Shaklee means for the future. Presidential Master Coordinators, Doug and Charlene Fike, explain how Dr. Shaklee and his example of Thoughtsmanship influenced their decision to build a legacy income Shaklee business and create lives that matter to themselves and others. Meet Roger Barnett, Chairman & CEO of Shaklee. Hear why this Yale & Harvard graduate and successful businessman & entrepreneur chose to pursue Shaklee. What challenges did he encounter & how did he overcome them? What hidden jewels did he discover within the company? How is Dr Shaklee’s philosophy reflected within the company and the people? And what is his vision for the future. Roland Oosterhouse shares little insights of what it was like to be around Dr. Shaklee's charisma and confidence. (1/4) In this Episode, Laura Beck does the first of four readings of Dr. Shaklee’s “Reflections on a Philosophy” First published in 1973, it is now on its 21st printing. Join Bob Ferguson as he interviews legacy Shaklee Leader Ruth Hallberg, an inspiring 91 year old still active in her business, and her Shaklee partner and Grandson-In-Law James Hatcher. Ruth and James speak eloquently about the soul of Shaklee, doing business by the Golden Rule. What to expect & our thoughts on Dr. Shaklee’s “Thoughtsmanship”. Enjoy!